OWNERS of new-build homes are spending an extra £200 a year on heating bills after planned energy efficiency standards were scrapped, a study finds. A requirement for new-build ‘zero carbon homes’, with no net release of carbon dioxide into the atmosphere, was to be implemented in 2016 but scrapped by the then chancellor George Osborne in 2015 to increase house building. The zero-carbon homes would have added one to two per cent to purchase prices but that would have been recouped through energy bill savings or absorbed by developers, according to the Energy and Climate Intelligence Unit study. Current new-builds require more than twice the energy to heat than a zero carbon home. Based on current retail gas prices, they will have cost up to £137million in England, the report claims. Families who moved into their homes at the start of 2016 will have been paying on average an extra £208 to £233 each year to heat their houses, it said.Since 2016, 380,000 homes have been built. If the rate continues, the amount of wasted energy to heat them will be more than £2billion, using enough extra gas to fuel 3.3million homes for a year. The ECIU’s Dr Jonathan Marshall called for the policy to be reintroduced. ‘Successive governments have struggled to devise effective domestic energy efficiency policies, meaning carbon emissions from homes are rising but zero carbon homes could have made a real difference,’ he said. Housing minister Kit Malthouse said: ‘I don’t agree that energy efficiency regulations have been watered down. 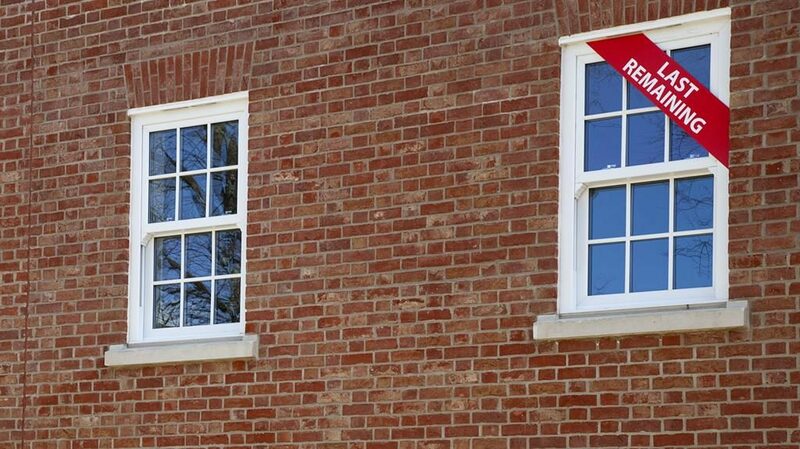 New homes built in England have increased in efficiency by over 30 per cent since 2010. A HANDWRITTEN love letter is the ultimate romantic gesture. 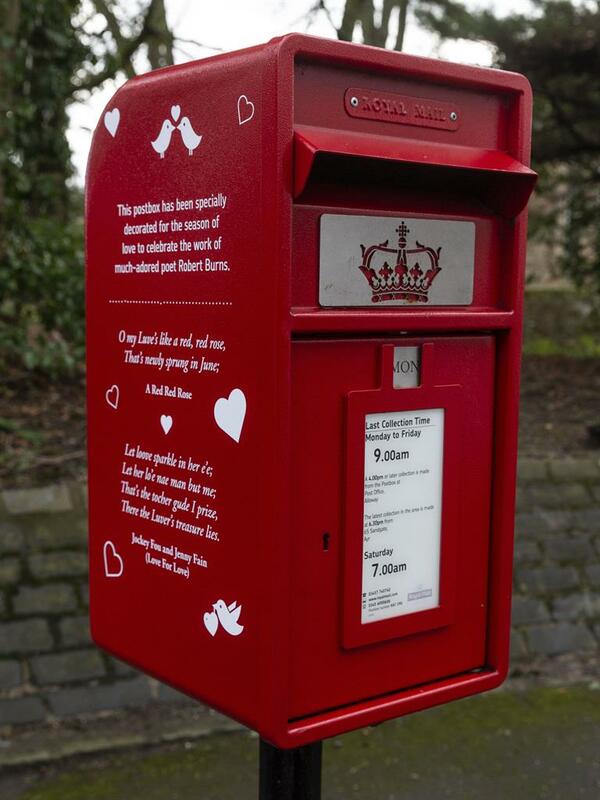 Now Royal Mail is hoping to rekindle the art this Valentine’s Day by dedicating post boxes to great romantic wordsmiths. 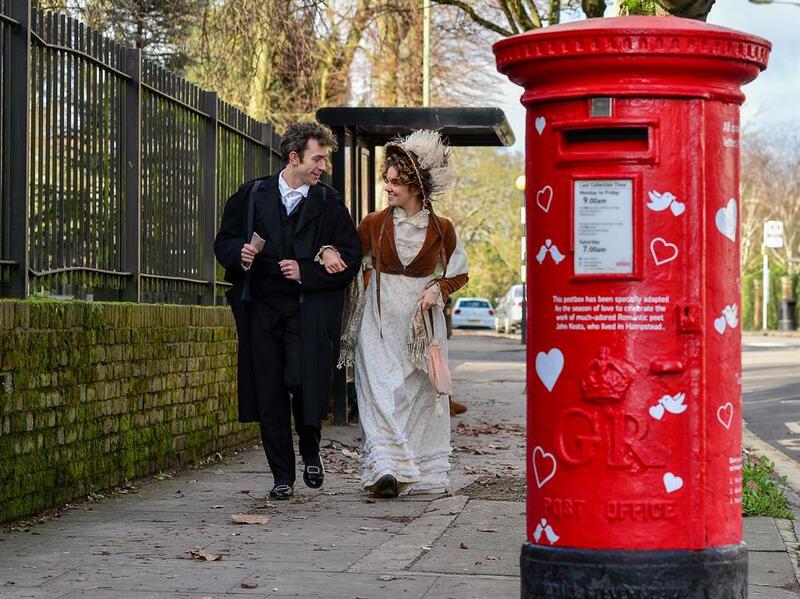 Quotes from poets John Keats and Anna Seward, along with novelist Thomas Hardy and Scotland’s bard Robert Burns will adorn four red postboxes in the UK. The boxes are in places associated with the writers — London, Lichfield, Dorset and Ayr. The one dedicated to Keats in Hampstead Heath, where he lived, includes quotes from letters he wrote to his great love and muse, Fanny Brawne. Mark Street, of Royal Mail, said: ‘As one of the guardians of the written word, we relish the opportunity to celebrate the life and times of some of Britain’s most treasured writers. ROYAL Bank of Scotland is expected to post a second year of annual profits, adding extra impetus for the government to keep selling down its stake. City analysts predict profit of £1.4billion — nearly double last year’s £752million — after a decade of losses in the wake of the banking crisis. The lender, due to report on Friday, is 62.4 per cent taxpayer owned and has shareholder approval to buy back up to £1.5billion worth of shares from the Treasury in a move to speed up privatisation. It is also tipped to declare a 10p special dividend. ■ GROWTH is likely to have slowed to 0.3 per cent in the final quarter of 2018 but is not a sign of a looming recession, predicts Samuel Tombs, of Pantheon Macroeconomics. Seasonal retail discounts were a bigger factor. ■ MANUFACTURING output has fallen to a 15-month low as firms anticipate a chaotic Brexit, a report says. Stockpiling of imported components is likely to have masked an even greater decline in activity, warned business adviser BDO. ■ THE high street has seen nearly 19,000 jobs lost or put at risk since Christmas. The figure reflects rising business rates, more people shopping online and the demise of HMV, Patisserie Valerie and Oddbins. ■ DIGITAL challenger bank Tide has backed calls for tribunals for small businesses to settle disputes with lenders. But boss Oliver Prill conceded making the market more competitive offered firms greater protection. ■ BRITAIN’S love affair with online shopping has created a jobs boom in warehouses and depots, a report shows. There are more vacancies for warehouse operatives than any other role, found website JobSwipe.